I’m quite pleased with it actually! And, as per advice from Cathie at Cathie’s Craftworks, telling me that my acrylic may not melt I was heartened and carried on! and do you know what? She was right. 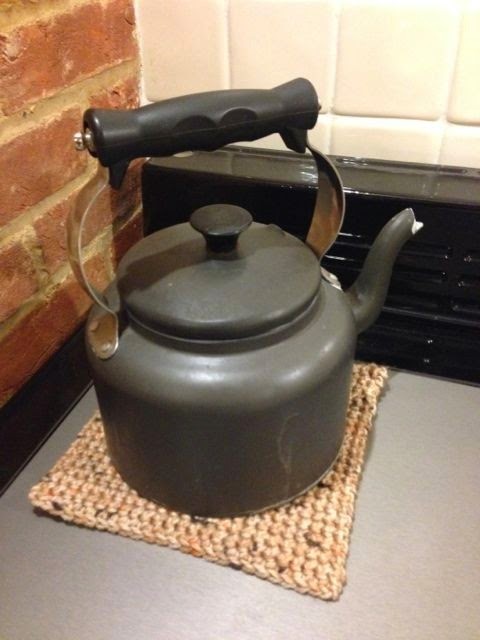 No melting so far and it stops my kettle scratching the surfaces! 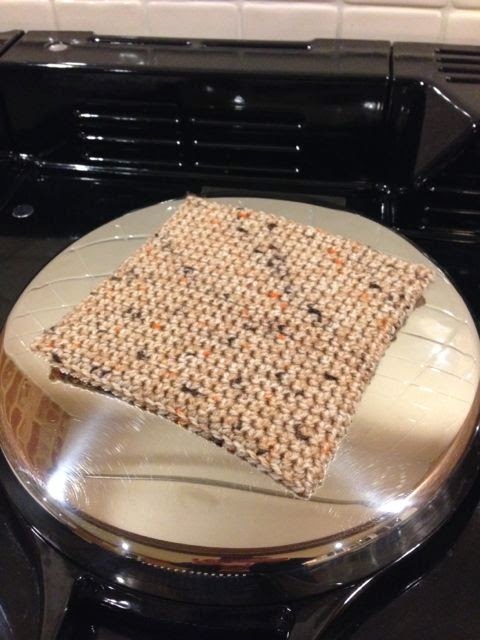 Share your favourite hot pad designs by Linking In below – I’d love some more inspiration! Hooray ! I like the idea of it also being a non scratch mat, we have a ceramic hob and I often worry about putting our big cast iron casseroles on it. I feel some crochet coming on ! Thanks for the pattern link. This looks easy enough for me! I'm glad yours turned out so well.